I’ve noticed an alarming trend at pre-school, some of my fellows seem to be eating what is presented to them on their plates without query. I have also witnessed some voluntary consumption of vegetables. It makes me sick. Take heed people, follow these simple rules and exert some fricking authority! Set the tone – spend a week detoxing on jam toast. Refuse anything but Cheerios for breakfast. Have them without milk on Mondays, Thursdays and every other Friday. Hyperventilate if they get this wrong. Don’t try anything new EVER. Just because you liked something yesterday does not mean you have to like it again today. It is perfectly acceptable to change your mind and you do not have to explain yourself. Fruit as a pudding is bullsh*t.
Be suspicious of anything that was recently alive. Beige, dead looking stuff is safer. Request a wide variety of food at the supermarket and then a, deny all knowledge of it upon your return home or b, allow it to be cooked first and then say you don’t like it. Spend some time revising brand names so that you can legitimately refuse cheaper derivatives. Any amount of cooking or food preparation time above 30 seconds is wholly unacceptable. Ask for updates of when things will be ready every 10 seconds, protest with your fists on the floor if things are taking too long. This may result in the meal being served half frozen but it doesn’t matter as you are not going to eat it anyway. No eating on Wednesday afternoons, just cos.
Make sure you have a spoon, knife and two forks with all meals and then eat with your hands. Only ever use one specific plate. Flip out if it is dirty. Deposit as much of your meal off the side of the table as possible. They say they ‘spend their whole life cleaning the kitchen floor’, help make it a reality. Don’t eat that sweetcorn stuff. It sounds nicer than other vegetables but it’s just yellow peas. Kick people who describe broccoli as ‘little trees’ in the shins. It’s condescending and its disgusting. Avocado – WTF? – NO. Avoid anything with sauce as there is a risk it contains blended veg. Never drink water. They say ‘You will drink it when you’re thirsty’, don’t. Get admitted to hospital with dehydration. That’ll learn em. Always say you are hungry when you are in the bath. Train your body clock to wake up for midnight bananas. Casseroles, stews and pies are not to be trusted. Sweet potato chips are insulting. Food that is arranged into faces or stupid sodding farm animals should be hurled across the room in fury. This entry was posted in Parenting, Rants and tagged fussy eating, fussy toddlers on February 25, 2014 by Katie. Oh that made me chuckle – definitely the promising to eat something while you help to cook it and then denying all knowledge when it lands on the table! Thank goodness Little T doesn’t know how to read yet! Or else she’ll be in all arms with your Little F, holding placards and co-writing the “No more Vegetables Manifesto!” or worse “No more listening to Mums and Dads Manifesto”. Yep i know gotta give him that one! Ha ha ha. So true. We are just about to embark upon a toast and jam fest! Hehe Z does all of this. No amount of hiding veg into pasta will trick him. He will sweet corn though. Sometimes only sweet corn! Argggh! Ha ha ha! Oh this made me laugh out loud. Sounds so much like our house- they’re obviously co- conspirators! What is it with bananas?! I have to ration them or he would seriously eat 15 a day!! Perhaps we should all just give up and serve 3 bananas per meal and forget actual cooking? I think about that A LOT! I’ve counted and my 3 year old eats 2 bananas every day. EVERY DAY! My son will only eat breakfast if he has an orange spoon (MUST be orange) in each hand. His new trick is trying to get two spoonfuls of weetabix into his mouth at the same time. I despair, I really do! Hilarious. Only one thing to add–‘when finished eating, throw leftover food on the floor’. Food on the floor drives me crazy. So funny, so true!!! Sweetcorn is a yellow pea – genius! 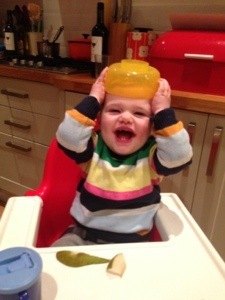 I actually agree that fruit for pudding is a no go! Can’t quite shake that inner toddler when it comes to desert! Well played:) love this and we have the same kitchen units and tops, perfect for preparing food children don’t eat. That’s why we bought em! As a mum to a very fussed toddler this made me chuckle greatly. Especially the last point. I tried out sweet potato chips last week. Neither my toddler or my five year old were impressed! 1k shares on FB?! You legend! This is genius. Loving the beige, dead-looking stuff, that made me laugh out loud….all houses, everywhere. I love it! And it’s all true, especially the bit about demanding food you’re not going to eat. Why is beige suddenly an attractive colour when it’s on their plate?? Sweetcorn’s not even as nice as yellow peas! I Love this but you have ‘better’ to come: teenagers. You have just described my 2yr10mnth grandson to a tee. Hope his parents realise they are not on their own and Dad learns how to make gin!!!!! You are certainly not alone – The list should probably included that the shape of certain foods is also vital! Then today he decided (only after I’d cooked it) that he didn’t like beans on toast and would much prefer chicken! After denying his request he then thought he’d try the old “cookies for dinner” pitch … We compromised and he had a cookie after his beans on toast. I’d love to say it gets better…. Loving this! That’s a total bullseye for our life at the moment! Hilarious! And clearly my kids got this memo. My older one won’t eat off a plate if the plate has a picture of an animal with a tail on it. He is nearly 6. 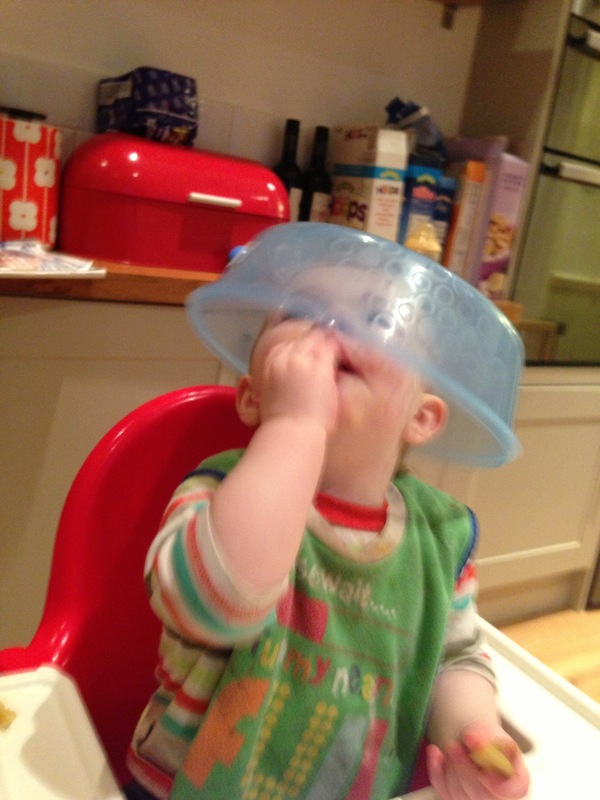 And the little one eats beans with his fingers one at a time….but only on Mondays. On Wednesdays he likes to squash them individually into flat bean mini pancakes and flick them across the table at his btother. Spaghetti? Eaten strand by strand with his hands. Ugh!!!! Hahahhahahaa That = my 4 yr old son. Laughing till it hurt. I have a 2 and 4 year old who do this whole list of things, glad I’m not the only one! Your blog is the best! Thanks so much for putting into harsh reality for the hippie parents out there!